I’m just about to leap in the shower and then it is off to Velindre – YET AGAIN – for the next dose of Radio Therapy. I’ll try and write up yesterday and today when I get back but yesterday I stood no chance of coherence after a trash night sleep wondering if the alarm would wake me! Then up at 07:00hrs. and uncertain what rush hour traffic would be like. 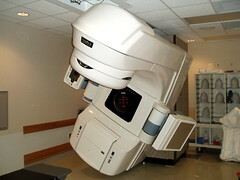 This entry was posted in Cancer, Radiation therapy, Velindre. Bookmark the permalink.